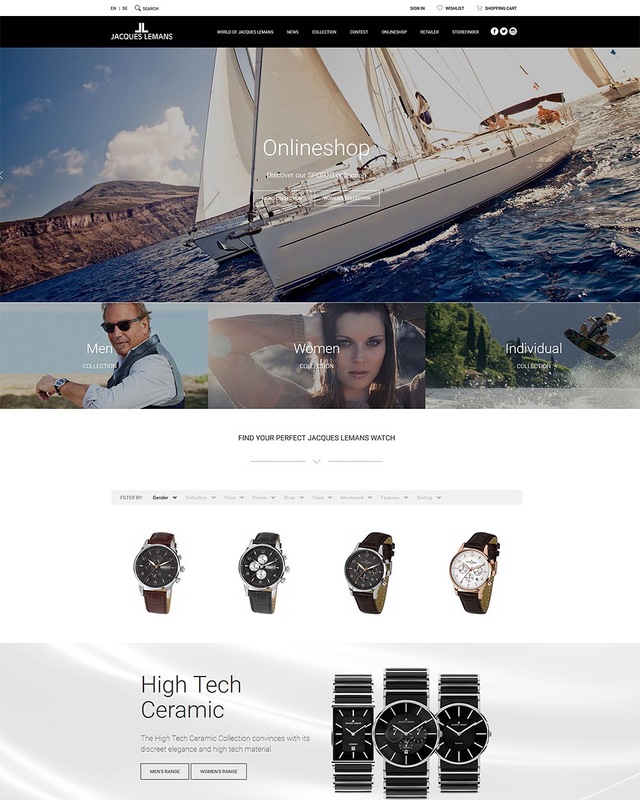 Jacques Lemans, a famous Austrian manufacturer of high quality watches, has launched their new online shop using Shopware 5.The shop was implemented by the Austrian agency KEYnet on behalf of sstdesign. Since their founding in 1975, Jacques Lemans GmbH has been committed to producing the highest quality watches available on the market. The products offered by the manufacturer are characterized by their multifaceted and cutting edge design, as well as the creativity and passion invested in the production process. The Austrian company is 100% owned by the original family. To illustrate the technical capabilities, KEYnet seamlessly connected the shop to the ERP system Büroware. The project also included writing individual plugins in order to fully implement the frontend as well as 5 Shopware templates. Today there are currently around 1,800 products available in 50 different categories within the shop. The shop relaunch included a complete redesign of the website. “Jacques Lemans has always been a leader in design and innovation, especially in the online area. We want our partners and customers to dive into the world of Jacques Lemans. To this end, we wanted to offer a complete shopping experience; something which we have definitely achieved.” says Alfred Riedl, CEO of Jacques Lemans.